Homeless and vulnerable people have received free dental care on Dentaid’s mobile dental unit this Christmas. This December the charity has run clinics in Blackpool, York, Leeds, Southampton and Winchester providing dental screening, pain relieving treatments and oral health advice. At Horizon in Blackpool a team of volunteer dental professionals saw 30 patients including many struggling with drug and alcohol addiction. 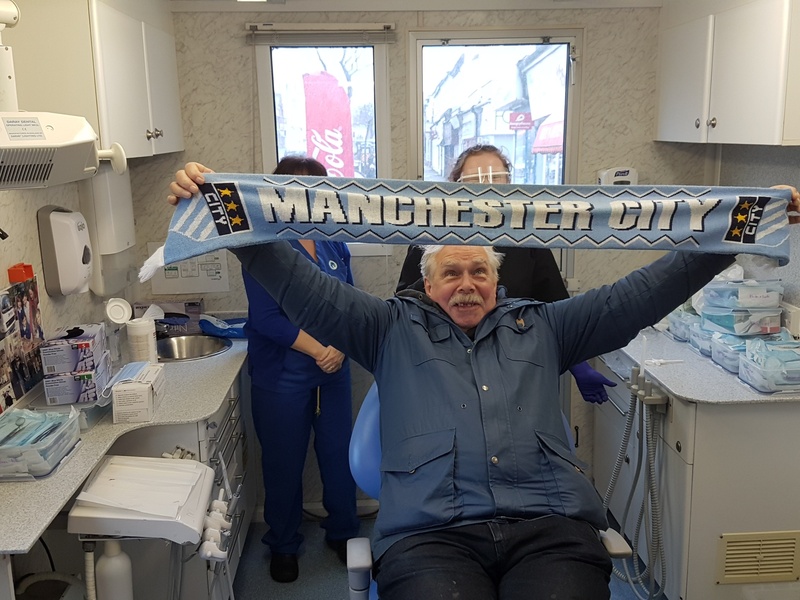 The joint initiative with the British Association of Dental Nurses and the Oral Health Foundation offered fillings, extractions, oral cancer screening and a scale and polish for Horizon service-users. Next stop for the mobile dental unit was The Crypt in Leeds, a day centre and night shelter for homeless people in the city. This was Dentaid’s sixth visit to The Crypt and the charity has established good relationships with service users and their support workers. Ten homeless people were treated in the clinic and Dentaid will return to The Crypt in the New Year. 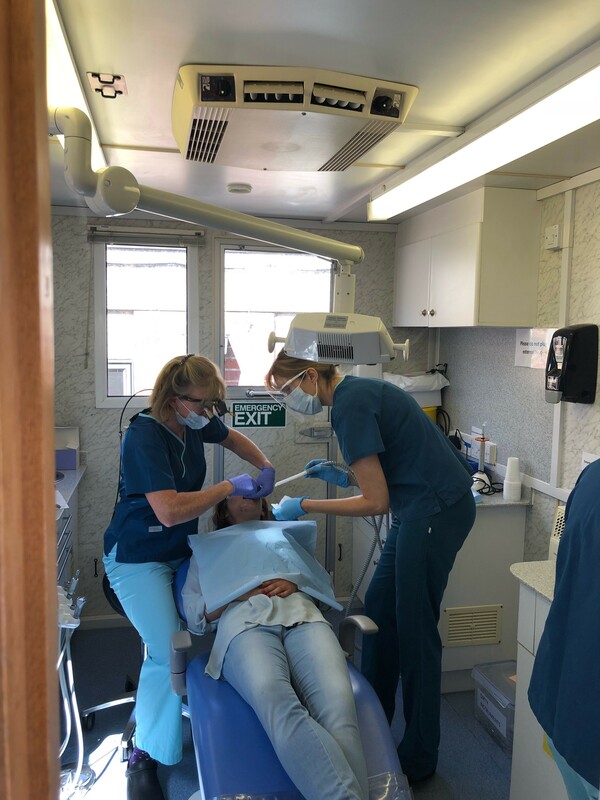 Kind-hearted Dentaid volunteers also provided free treatment for homeless people in York when the mobile unit visited Kitchen For Everyone in the city. And there have been regular clinics at Two Saints in Southampton and Trinity House in Winchester. Many homeless people live with long-term dental pain. Research published last year reported that 70 per cent had lost teeth since become homeless and 15 per cent had attempted to extract their own teeth. Many of Dentaid’s patients have used drugs and alcohol to mask dental pain and have not seen a dentist for years. Dental problems can also affect their self-esteem and future prospects.